Lebron James is back in Cleveland tonight! Game starts at 5pm EST... Where will you be as the Cleveland fans get their first chance to attack this superstar? There has never been more hype in Cleveland for a professional sporting event like the game tonight between the Miami Heat and the Cleveland Cavaliers. It is the first game for Lebron since he announced that he would leave Cleveland. Since the trade, Lebron has not been playing well. Cleveland has not been playing well. The Heat have not been playing well. It's a mess and tonight everyone goes to war including the fans. What will happen? The poison has got to Lebron. There is a very negative superstitious aura to the way Lebron left Cleveland. 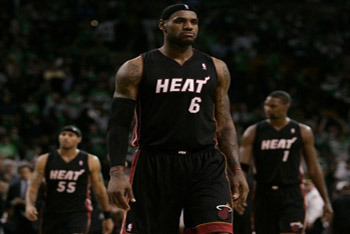 Not only is it distracting Lebron but it is distracting all his teammates. It could be the pressure to perform well with an all-star line up... it could be the intimidation of such a superstar to his teammates... it could be the guilt of leaving his hometown team. Whatever it is, it's going to get worse tonight. 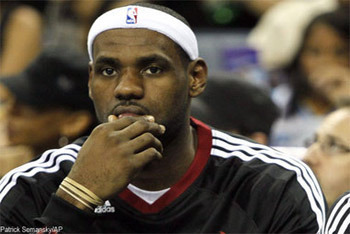 I expect Cleveland to pull off the upset and beat the heat tonight!